Always choose the developer according to how much lift you require. 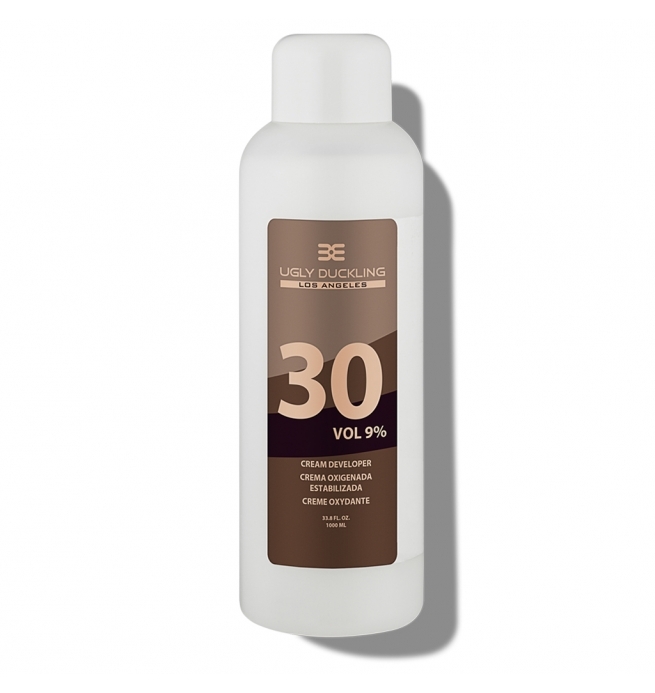 30 Vol is for 2-3 levels lift. When using with most Ugly Duckling Color, the recommended mix is 1 part color to 1 part developer. Normal processing time for color is 30 minutes. For toners and lighteners, you need to check and rinse when have reached the correct level. Suitable for 2-3 levels lift. Pleasant fragrance, makes coloring enjoyable. Can be used with Ugly Duckling Professional Hair Color and also with all major color brands. Can also be used with all major bleach brands. Suitable for 2-3 levels lift. Always choose the developer according to how much lift you require. 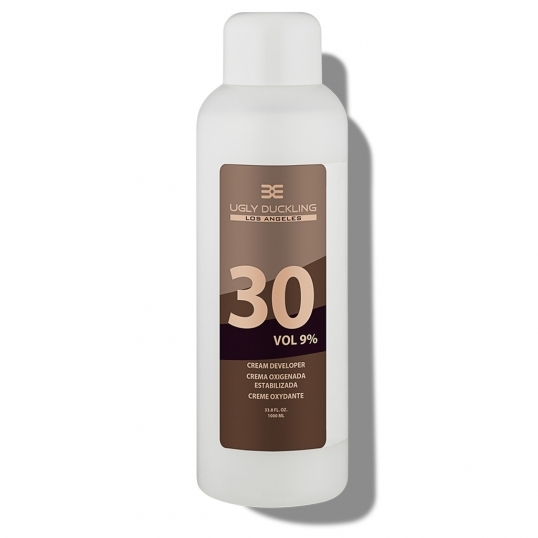 30 Vol is for 2-3 levels lift.